I go to a lot of star parties, but, unfortunately, I don’t get to observe at a lot of star parties. I’m usually flown in to be a speaker and am scopeless, having to content myself with looks through my small binoculars and through the telescopes of kind folks on the observing field. I sometimes feel like a kid with his nose pressed up against the candy store window without a dime in his pocket. This year’s Peach State Star Gaze would be different. 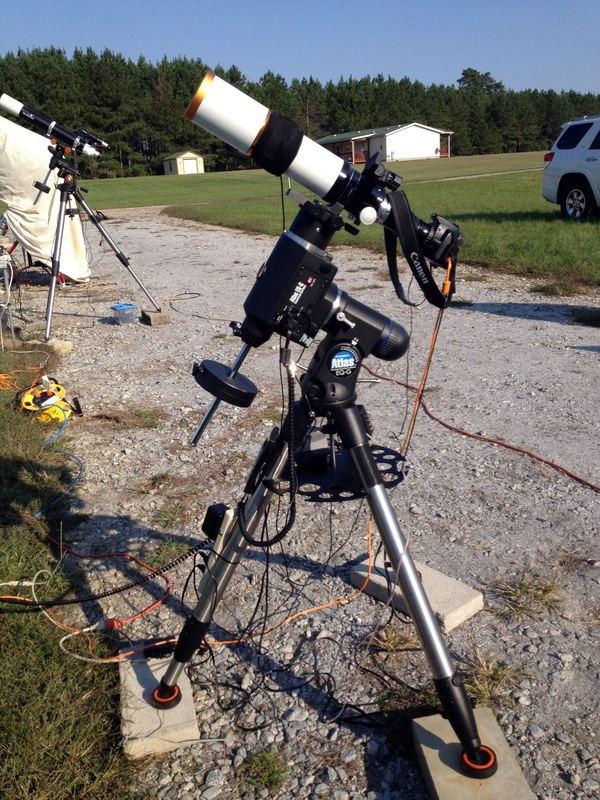 I’d be their speaker, but the event, which is held at the Deerlick Astronomy Village about 100 miles east of Atlanta, was close enough that I could drive and could bring along a truck full of observing gear. No more squinting through binoculars; I’d have my C8 or C11 with me. I’d even, I hoped, be able to get some DSLR images for a magazine article I’m writing. Peach State would be both an old and a new star party for me. I’d done PSSG several times years and years ago, but those were at its old sites. The first two years, at the original location near Jackson, Georgia, just south of Atlanta and well into the outskirts of that megalopolis’ light dome. Yeah, there was light pollution, but I loved the facilities at Indian Springs State Park, which included decent cabins and dorms and a large meeting/dining hall. The event was also close to amenities like restaurants, including the famous Fresh Air Barbecue. Alas, only fair skies and a field that was bursting at the seams with observers not only from the big Atlanta Astronomy Club but from points north, south, east, and west meant that by 2002 the organizers decided Jackson outlived its usefulness as the PSSG venue . So, in ‘02, the event moved to Copperhill, Tennessee. That was a long drive for me, but PSSG had become my spring star party. I had tried the Mid-South Star Gaze in Mississippi a couple of times, but for several reasons that hadn’t worked out. This was before I was introduced to the joys of observing down Chiefland Way at the Chiefland Astronomy Village. 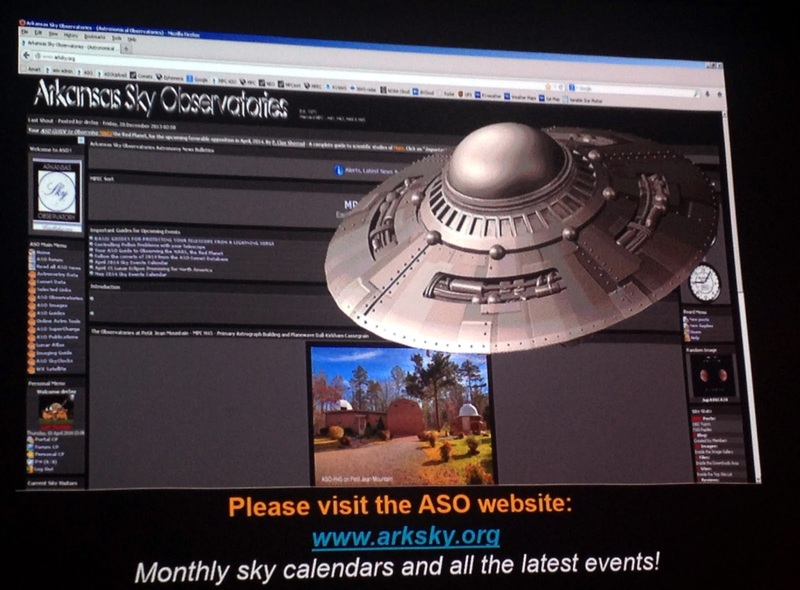 If I wanted to observe under dark skies in the spring, PSSG was still my best bet, even in Tennessee. I gave the “new” Peach State a chance; I really did. Once. Not only was the drive a long one, the skies at the new location, Whitewater Express, a private resort/camp, were not great, with a light dome from Chattanooga obvious. The cabins and other facilities were also rudimentary at best. Some time later, I heard PSSG was moving again, to the private astronomy development of Deerlick Astronomy Village, “DAV” (much like the CAV), which would be considerably closer for me. For one reason or another, however, I never got around to giving the event a try at its new location. Flash-forward to December 2013 when the good folk of the Atlanta Astronomy Club had me up to give a presentation at their annual Christmas dinner. Dorothy and I had a good time, and when one of the club officers inquired as to whether I might be interested in doing PSSG as their speaker the following year, I replied, “Coitainly.” Unfortunately, a booking conflict prevented me from doing the event in 2014, and it began to seem as if I’d never get back to Peach State. Until I got an email from the AAC’s Peter Macumber this past summer concerning my availability for the 2015 event. I told him my schedule was still open for the PSSG dates, that I’d be happy to speak at the event, and was, in fact, looking forward to trying out the skies of the DAV. 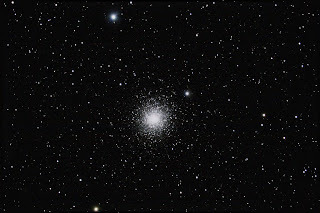 Once the die was cast that I’d go, it hardly seemed any time at all before summer was dead and it was time to get ready for PSSG, which would be the first event of the year’s fall star party season for me. First question I had was “accommodations.” A check with the organizers and a look at their website and that of the DAV revealed that would potentially be a problem. Normally, I’d have specified that the star party organizers would have to put me in a motel, since there are no cabins on the site, but with no hostelry closer than about 20-miles that I could find, it appeared I’d be camping. Camping, huh? I was sanguine enough about tent camping to purchase a tent and the other requisite gear last winter. I had the best of intentions of saving the money I’d otherwise spend on the substandard motels of Chiefland, Florida. Tent camping in a good tent wouldn’t be bad, would it? Well, one night was OK last February, but only one. That night coincided with some of the coldest weather in Florida in years. I moved to a motel on the second morning of my stay, and when I couldn’t get a room for the following evening, I packed up and went home. Yes, I was an astro-wimp. I hoped the story would be a better one this time. While the temperatures in Georgia would be slightly chilly, in the 50s the weathermen believed, I thought that would be bearable with the aid of an electric heater in the tent. At any rate, I didn’t see an alternative if I wanted to do PSSG. There had been some talk about putting me up in the home of a DAV resident, but since I didn’t hear any more about that as the event approached, I assumed it had turned out not to be an option. Anyhow, on the appointed morning, Thursday, 15 October, I said my goodbyes to Dorothy—this would be a solo mission—and headed up I-65. What was in the back of my 4Runner, Miss Van Pelt? The goal was DSLR imaging , so I’d packed two scopes most appropriate for that, my Edge 800 Schmidt Cassegrain, Mrs. Emma Peel, and my Megrez II fluorite refractor, Veronica Lodge. The mount? My time honored Atlas for a couple of reasons. Looking at the weather forecasts (which were now, drat it, showing lows into the 40s), it appeared there was the possibility of some wind and I thought the Atlas would be better in those conditions than the VX. 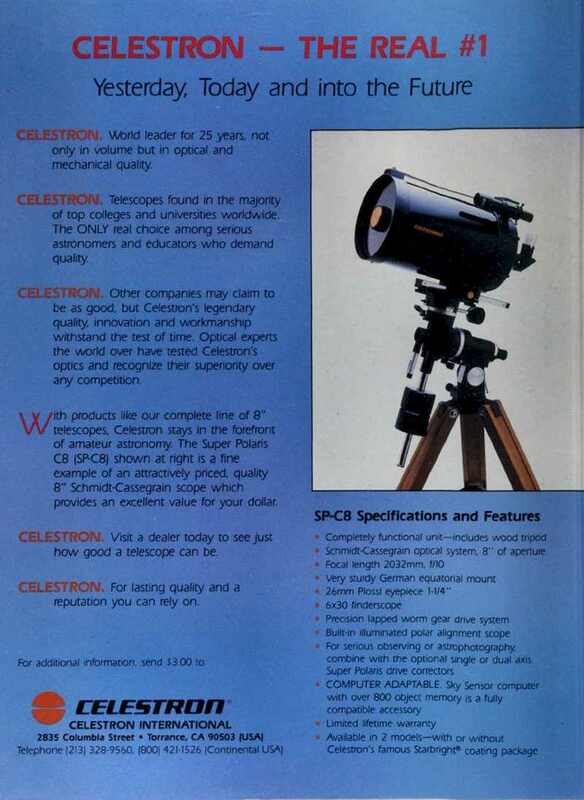 I would have chosen my new CGEM over the Atlas, I suppose, but I don’t have Losmandy D dovetails on either the refractor or the SCT yet. One more reason? I will soon put the requisite dovetails (or adapters) on the two shortly, and the eight year old Atlas will probably be going into mothballs. I might even sell it. In the event I decide to sell it, I thought it would be wise to give the mount a completely clean bill of health. It had cooperated well in the backyard, but there’s nothing like a three day star party to expose gremlins. Three days? Why only three days? I could have been onsite the previous Sunday, but I wasn’t at all sure I wanted to live in a tent that long. I can stand almost anything for three days. A week, though? Not so much. I believed three days would be sufficient to get the one image I really wanted, a good shot of the Triangulum Galaxy, M33. The trip up I-65, as I’ve commented before, is an excruciatingly boring one. It’s enlivened only by a stop at the good old Stuckey’s just outside Montgomery. Unfortunately and inexplicably, the joint was locked up tighter than a drum at 9:30 on Thursday morning. Out of business? I couldn’t tell. Peering in the window, everything appeared normal (it was in fact open when I stopped on my way home Sunday). I decided this was, perhaps, a good thing anyway, as I’d have been tempted to order a fried chicken biscuit from the Dairy Queen side of the house, and I really have had to give up that sort of thing. Onward to Montgomery, over to I-85, and into Georgia for the run to Atlanta. Based on past experience, I was a little apprehensive about negotiating the Atlanta Bypass, I-285, and getting on I-20 successfully, but GPS made it easy. Shortly, I was pointed in the direction of Augusta, towards the exit that would lead me to the tiny town of Sharon, Georgia, the nearest settlement to the Deerlick Astronomy Village. While my GPS receiver didn’t know anything about DAV, the GPS app on my iPhone actually did. I planned to switch to the smart phone once I neared the site, but it turned out I didn’t need to. I had a print out of the excellent driving instructions from the star party’s website, and those were more than sufficient to get me from the Sharon exit to the DAV. In just a few minutes—the venue is nice and close to the Interstate—I was rolling onto the PSSG observing field. 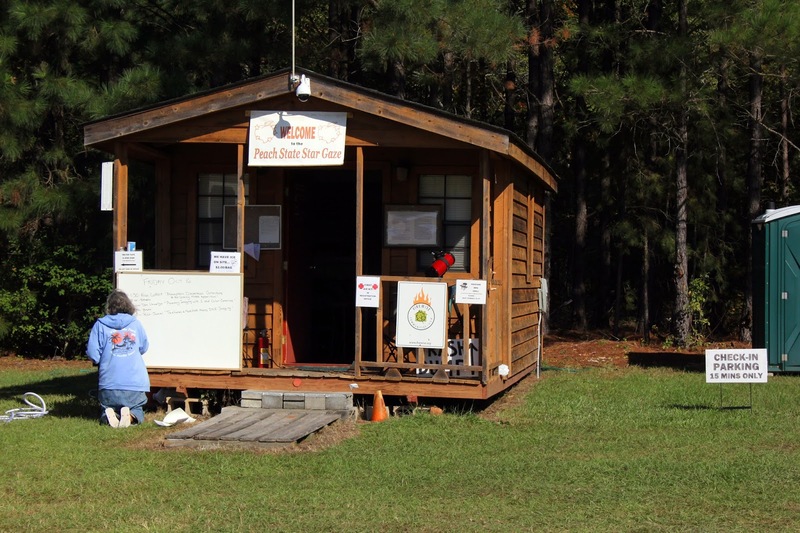 Thanks to the signage, I was shortly walking into the odd little cabin/chickie/hut used for registration (I believe it is a warm room the other 51 weeks of the year), and meeting the kind and friendly people of PSSG including Peter Macumber, my contact. Registration packet in hand, I set out to find a place to set up that had access to an electrical outlet. Which turned out not to be so easy. 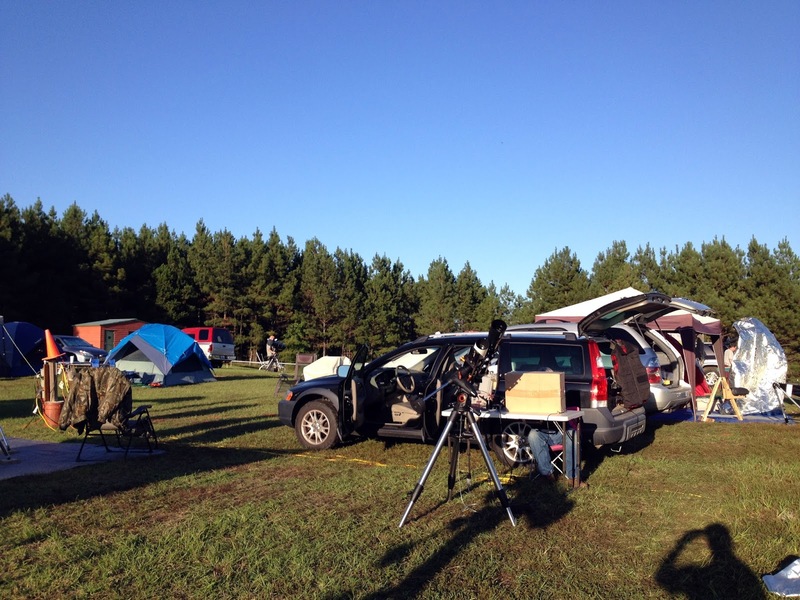 The star party had been going on for five days, and most of the plugs were spoken for. I finally found a spot that I thought might work, but just as I was preparing to unload, who should appear but my old friend, fellow astronomy writer, and deep sky observer extraordinaire, Rich Jakiel. Rich’s opinion was that I could do better than camping. He was staying in the DAV home of a friend and another acquaintance of mine, Dan Llewellyn, and said he thought it likely that Dan would be happy to put me up for a few days. 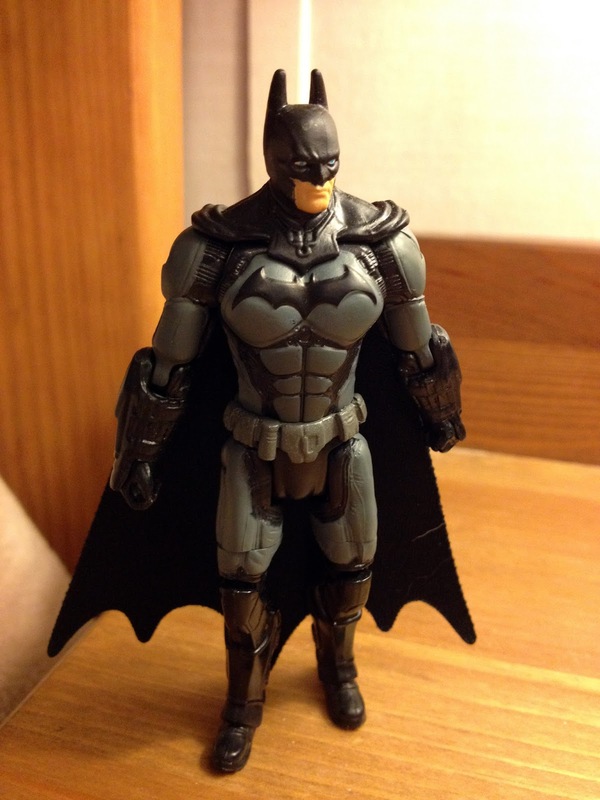 That was indeed the case, and I was soon moving my gear into a real bedroom (my customary travelling companion, The Dark Knight, a suspicious sort, had to admit things had worked out nicely). 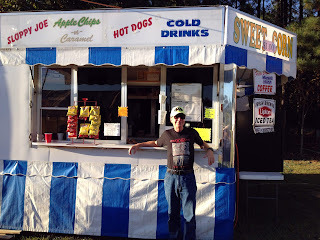 In addition to Dan and Rich, Alan Coffelt, another familiar face was spending the star party at Dan’s. Apparently the “Three Stooges,” as they call themselves, had been having a rip-roaring time imaging from Dan’s driveway, and I was happy to join them. While I’d miss being on the star party field a few hundred meters away, I thought it was really for the best. I wouldn’t be bothering visual observers with my laptop and the nature of modern imaging is such that I knew I’d be able to start a sequence and leave the computer and camera to do their work without worrying about them while I toured the star party field. Settled in a comfortable room of Dan’s comfortable digs, next up was telescope set up. 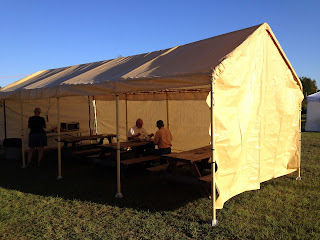 Not having to deal with a tent or even an EZ-Up canopy made things a lot simpler. Which was good, since daylight was fading fast. DAV is far west in its time zone, so it takes a while for astronomical twilight to arrive, but there is no doubt the days are waning now, and I had no time to lose. First up on Thursday evening would be the Edge 800, Mrs. Peel. I’d do my narrow field on this evening and my wide field on Friday and/or Saturday, I thought, depending on how things went. The scope, computer, and camera were shortly ready to go. Only minor problem? 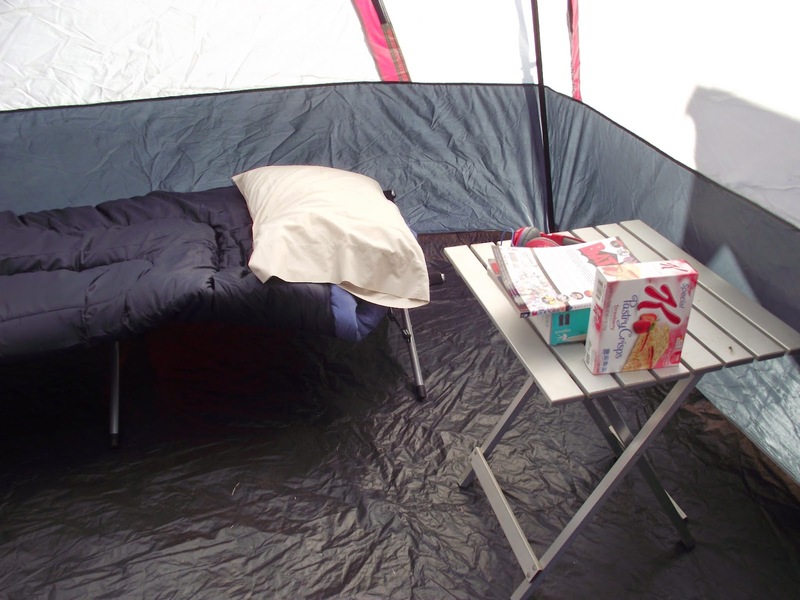 Since I’d planned to tent-camp, I hadn’t segregated the astronomy and camping gear. In order to get at the scope and mount out of the 4Runner, I had to remove the EZ-Up, the tent, and all the other camping stuff from the vehicle. 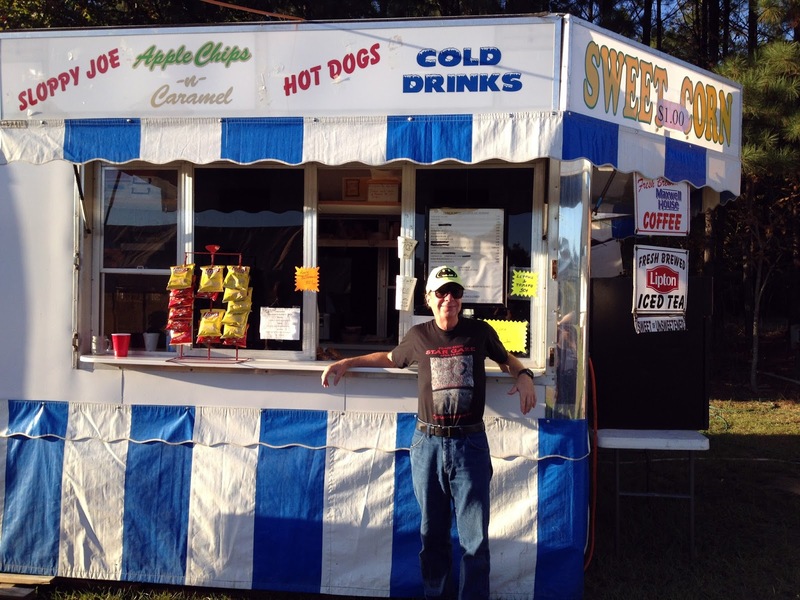 Not a big deal, however, and certainly easier than setting up the big Coleman tent and tent canopy would have been. After spending some time shooting the breeze about astronomy with the Stooges, I thought I’d check out Mickey’s Kitchen, who was doing food service for the event. I’ve dined with them before, and knew I could expect above average star party fare. And that was indeed the case. Sausage, potatoes au gratin, and a big cup of iced tea and I was happy. The preliminaries out of the way, it was time for the star party main course, OBSERVING, or, in my case, imaging with my Canon 400D and C8. The first night rarely goes as well as I hope. I’m tired after setup, tend to take shortcuts, and usually don’t get much in the way of results on the first evening. So it was on this night. Oh, my photos were OK, but not great. The guiding was sufficient but not perfect. At first I thought my problem was the new version of PHD guiding, which I’d only used a time or two previously, but monkeying with its settings didn’t help. In fact, it made my guiding worse. Luckily, I finally had the sense to stop fooling around and be satisfied with “good enough” guiding. That was wise since I’d discover on the following evening that my problems had nothing at all to do with PHD2. I then just let the scope do its thing. While I’d had every intention of walking down to the star party field, I had to admit I was too tired for that. Instead, I spent the remaining hours of Thursday evening watching Rich, Alan, and Dan image and occasionally checking on my scope/camera/computer. I was especially interested in what Dan was doing with his C14 and Sony A7S camera. 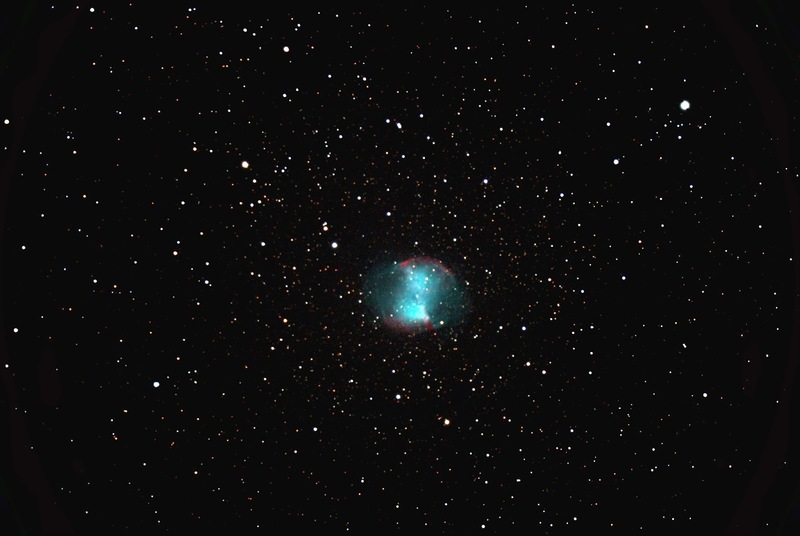 If you haven’t heard much about the A7S as an astrophotography tool, believe me, you soon will. Its amazingly noise free HIGH ISO images are astounding. I watched Dan pull in a perfectly exposed image of dim NGC 6888, the dim Crescent Nebula in Cygnus, in just 30-seconds. No fooling, and no guiding required. After watching the Sony magic for a while, and completing the last subframes of my M15 sequence, I decided to take a break and retired inside to watch Dan’s big projection TV for a while. As you might guess, sitting on the couch watching an old movie (that is how you star party) led to my eyes closing and me dozing. Fortunately, I eventually roused myself and got back outside to shut down scope and computer and cover the C8 with her Desert Storm cover. That was the extent of my first night. 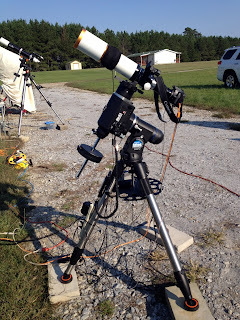 Daytime at a star party can be a challenge for me. Those hours until darkness just seem to stretch on forever. This Friday at this star party wasn’t bad in that regard, however. It helps a lot when you’ve got wi-fi, a big screen TV, and a comfy couch to sit on and can read yourself into a doze to while away the afternoon. Not that I didn’t spend some time cruising the PSSG field and looking at the many telescopes assembled there. What was my takeaway from my tour of the field? Imaging is big again. It seemed as if every other set up included either an EQ-6 or CGEM. 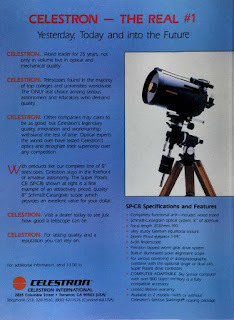 The telescopes riding on those mounts were a diverse lot, but refractors predominated. Also, it seemed as if a lot of the observers were following my precepts, seeing what they could do with lower tier/mid-level gear. While there were some AP and Bisque mounts and AP and Tak, OTAs in evidence, they were much outnumbered by the aforementioned Synta mounts and Explore Scientific and SkyWatcher OTAs. The cameras? There were genu-wine CCDs, but most people, like me, were using Canon DSLRs. The software being used for image acquisition was more or less evenly split between Backyard EOS and Nebulosity. Didn’t I see anything new? Not really. Well, there were a couple of mounts that were new to me. Most interesting, I suppose, was the iOptron CEM60. It is much more impressive in person than in pictures, and if my CGEM ever self-immolated, I would certainly consider one. Likewise, the 60’s sister mount, the iEQ45, was more imposing than I thought it would be. On the bargain side, there was the Bresser EXOS-2 goto GEM, the second coming of the Meade LXD75. I don’t mean that the EXOS just looks like the 75, it basically is the 75. It is made by the owner of Explore Scientific, JOC of Mainland China, who made the LXD75 for Meade. At a price of $579.99 brand new with an upgraded hand controller, I’d advise anyone in need of a goto GEM in the CG5 class to consider it. Its owner seemed pleased with its performance, and while I hear the firmware still needs a little work, it’s a heck of a lot for little money and might be just the thing for a cash strapped beginning imager. After a visit to Mickey’s for a plate of excellent pot roast and more (unsweetened) tea, it was back to Dan’s to prepare for another night. The main task was to change out the OTA on the Atlas. Back in her case went the Edge 800, Emma, and out of her case came the Megrez II, Veronica. You wouldn’t think that would take long to do, but after rebalancing, remounting the guide scope, attaching the dew heaters, etc., etc., it was beginning to get seriously dark. The goal on this evening was to finally, after all these years, get a convincingly good image of M33, a.k.a. 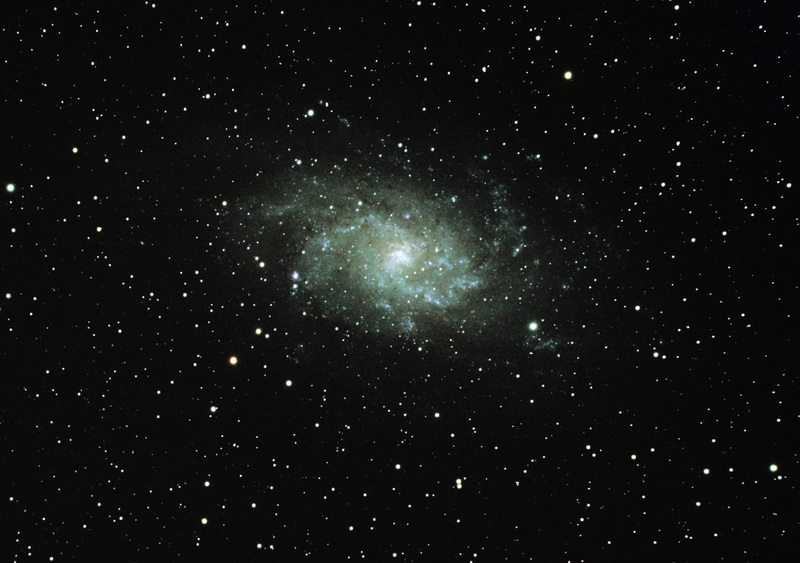 “The Triangulum Galaxy,” a.k.a. “The Pinwheel Galaxy.” I’ve been trying for this one since the film days, but my attempts had never really coincided with clear, dark skies and a short enough focal length to correctly frame the big thing well. I hoped this night would be different. I was a little concerned about the guiding problems I’d had the previous evening, but the solution soon became evident. Looking at the PHD2 video display with fresher, less blurry eyes than on the first night revealed my 50mm guide scope was badly out of focus. I tightened that up, calibrated PHD2, and good guiding quality immediately returned. Finally, the laptop emitted the little fanfare that means “I am done, Rod.” How well done? I knew I was on the right track as the subs were being taken—after this many years I can tell if the raw images appearing on my monitor are going to make the grade. Indeed, the next morning, I did a quick processing job on the pictures and was very pleased. 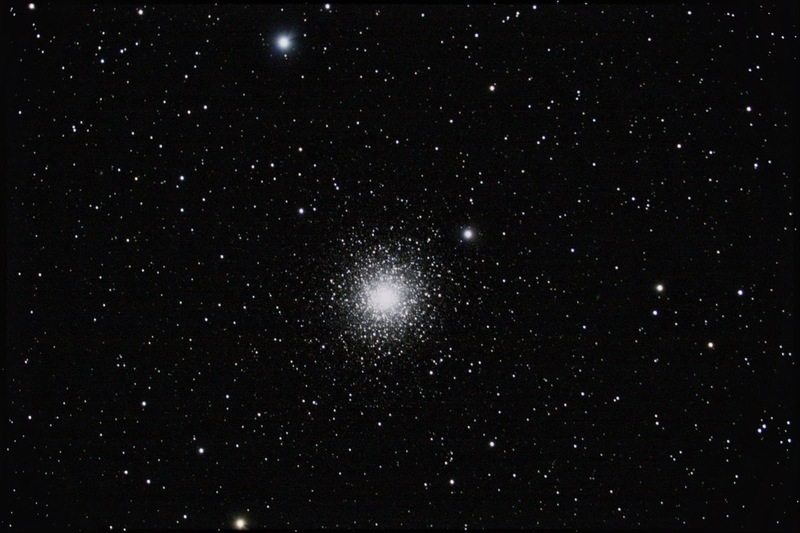 Processing was easy, as it always is when you’ve got properly exposed subs from a dark, clear sky, and while I’ll let you judge, I was pretty thrilled with the finished product. It was hard to believe Saturday was here and it was time for my presentation, but it was. 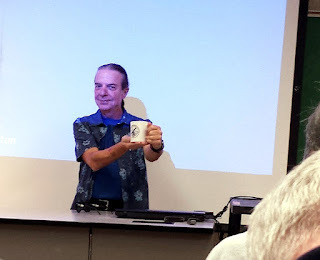 My talk was “Amateur Astronomy the Old Fashioned Way,” my paen to visual observing, and I’m happy to say it was very well received. While this was only the third time I’ve given this one, I’m beginning to hit my stride with it I think. One thing that helped was that it provided a good contrast with other presentations this year, which tended to concern imaging and be tech heavy. More than a few amateurs still like to do their observing the old fashioned way with eye and eyepiece. Saturday was also decision time. The trip back to Mobile would not be punishing, but at just over seven hours, it wouldn’t be short. I had stacks of papers to grade for my Monday classes, and I really wanted to get away as early as possible Sunday morning. At first light if possible. I decided I just had to pack up the scopes Saturday afternoon. Hated to do it, but I’d gotten (I thought) outstanding images of M33 and of M15, and that was exactly what I’d had on my agenda. 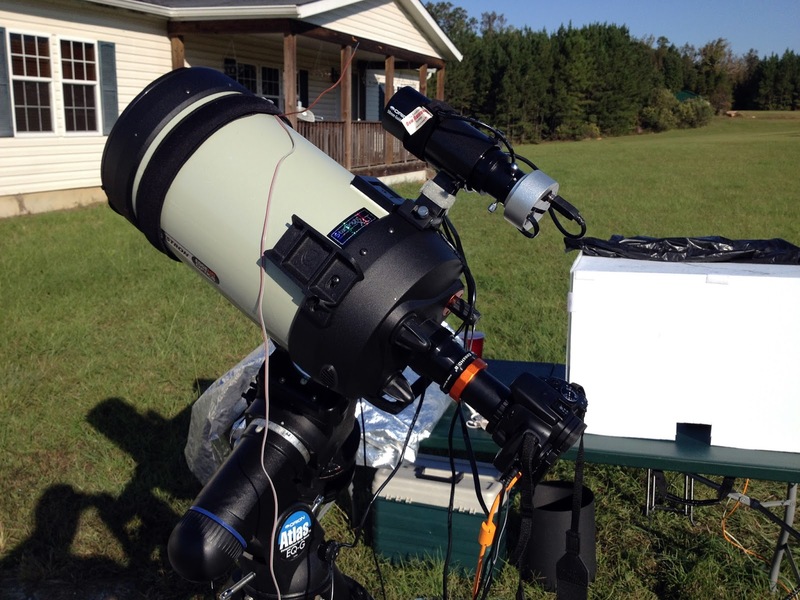 Not observing with my own scopes Saturday night would also allow me to spend an evening on the PSSG field visiting my fellow amateur astronomers. Finally, the weather, which had been a little damp but dead clear the past two evenings, was looking like it would not be as good Saturday with some clouds on the way. The clouds that drifted through occasionally didn’t help imagers, but really didn’t hinder the visual folks out on the field much at first. Rich, me, and Rich’s wife, Sharon, who’d arrived earlier in the day bearing the makings for a wonderful dinner for our little group, hiked out to the field and spent quite some time with friendly Dob mavens looking at a variety of objects. Eventually, however, the clouds began to intrude, even for visual, and the temperatures to drop (into the mid 40s), and we headed back to Dan’s. I spent the balance of the night watching Svengoolie, who was showing an old favorite, The Cat and the Canary, just making it to the end of the film before it was off to dreamland for me. Next morning, just after first light, I said my goodbyes and hit the road with mixed emotions. I’d had a great time, sure, but if I’d known it was going to be this good, I’d darned sure have come up earlier. That’s just the way it goes in the amateur astronomy game, though, and I have some hopes of making it back to this great American star party again before another 13 years elapse.